Zimbabwe's High Court has ordered the government to restore the passport to prominent government critic and newspaper publisher Trevor Ncube. His passport was seized last year under new laws tightening rules on those with foreign parents gaining citizenship. Mr Ncube was born in Zimbabwe but his father was Zambian. He owns two weekly papers in Zimbabwe and South Africa's weekly Mail and Guardian. "My faith in the Zimbabwean judiciary has been vindicated," Mr Ncube said. Judge Chinembiri Bhunu said there was no legal reason to strip Mr Ncube of his nationality. "It is accordingly ordered that [Ncube] is a citizen of Zimbabwe by birth... the withdrawal or cancellation of his citizenship is unlawful, null, void and of no force or effect," the judge ruled. He ordered Registrar General Tobaiwa Mudede to give Mr Ncube a passport within seven days. "The attempt to use citizenship as a tool to fight perceived political enemies and to settle personal scores must be condemned in the strongest terms," Mr Ncube said. He added that the ruling should help some 1.5m Zimbabweans with foreign parents. 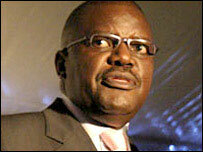 Mr Ncube's passport was first seized in 2005 before it was returned following a successful legal challenge. Last year, the government said Mr Ncube's citizenship had been revoked because he had not renounced his Zambian nationality as stipulated under new nationality regulations. Mr Ncube's lawyer said his client had never had Zambian nationality. His mother was Zimbabwean. Zimbabwean law bans dual nationality. Mr Ncube's papers, The Zimbabwe Independent and Zimbabwe Standard, often publish articles criticising the government of President Robert Mugabe.